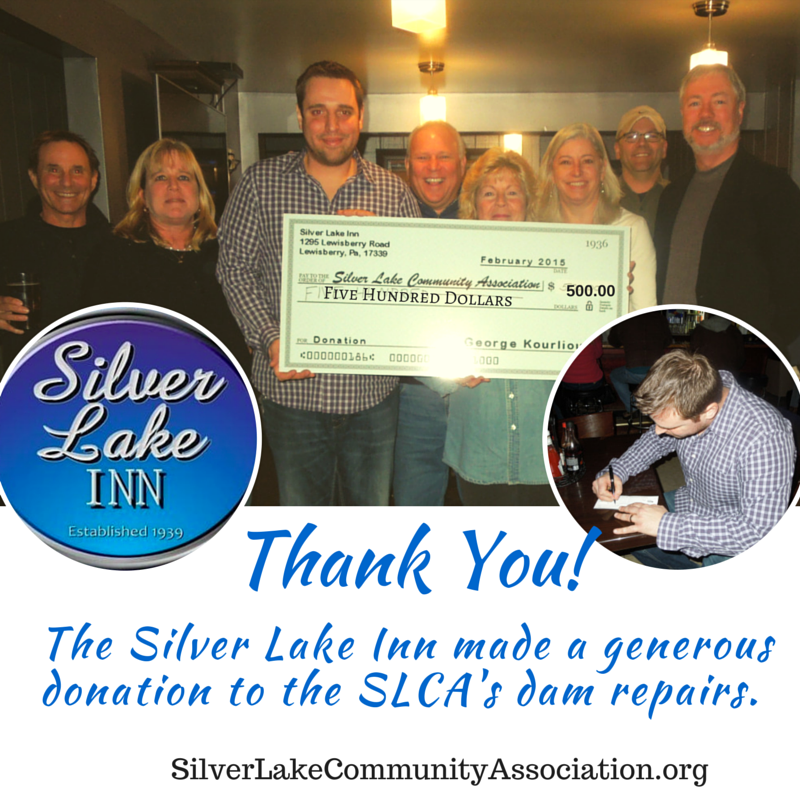 If you follow the Silver Lake Facebook page, you will know that in January 2015 the historic Silver Lake Inn, and its new owner George Kourliouris approached the SLCA board and offered to host a fundraiser for our dam remediation fund. On January 31, George brought in a live band and generously donated the $5 cover charge to the SLCA. On February 7, 2015 George presented a $500 check to the SLCA – the take at the door rounded up a bit! More importantly, George has volunteered to work with the board on future fundraisers. George and his “new” Silver Lake Inn are committed to help us preserve Silver Lake. The SLCA board is very appreciative of George’s generosity. If you are looking for quick, freshly prepared food, and perhaps an adult beverage, we encourage you to visit the Silver Lake Inn.